The spread of virtual assistants will not remove the need for lawyers but it will reduce their number, the chief executive of Riverview Law has predicted. Karl Chapman said the “race is on” among large corporations and small firms to develop assistants allowing people to do “more things more quickly and to do it themselves”. Riverview is poised to launch its range of virtual assistants this spring, which aim to combine automation, reporting and artificial intelligence. Speaking at the SRA Innovate conference last week, Mr Chapman said: “The direction of travel is remarkably clear. Technology is taking us down a route where, in every sector of the economy, customers will end up doing things which today are done by professionals. “That has massive implications in terms of the value chain, pricing models and business structures. The genie is out of the bottle, and technology won’t let it go back in. 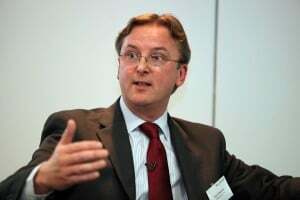 Mr Chapman said virtual assistants would operate on three levels – processes (helping people do things more quickly), advisory (helping people with different kinds of law) and “smarter systems”, which would “proactively pre-empt and give people advice and guidance to stop things happening in the first place”. Mr Chapman explained that in the future “smarter systems” could identify blockages in systems themselves and remove them immediately. “Does it remove the need for lawyers? Of course not. But it does change the role of lawyers going forward and the number of lawyers you need. He said technology would put information in the hands of professionals which they could not possibly possess as individuals today, for example in the case of doctors, every research paper on an illness and every drug. Mr Chapman predicted what that if research tools, like IBM’s Watson or ROSS Intelligence, were given to legal consumers, they could decide whether litigation took place. He said Riverview was now, after four years in business, an “utterly technology-led” company, based on managed services and providing technology licenses to businesses so customers could do things for themselves. He added: “This is probably one of the greatest times to be involved in the legal market. We are definitely in the forefront because of changes taking place in the regulatory environment – and the SRA must take credit for that. 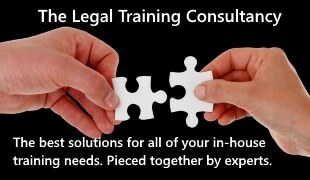 “And, globally, where would you want to get your cases heard and your contracts managed? In the US and UK – put Asia to one side for a minute. We’re in a very strong position. I would not put Asia aside for more than “a minute”. There is some serious competition developing fast. For example, Singapore.